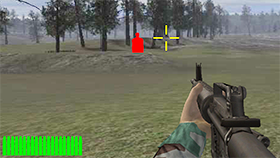 King Soldiers is an online puzzle game. You can play it in mobile devices or desktop. 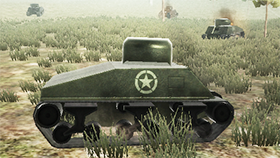 It has the background of military battle. You are the soldier and have to fight for your King. There are many monsters attack your base and with skills as well as weapons you have, you defeat all of them. Your mission in that game is killing the monsters like frogs with the least shots to save your King. 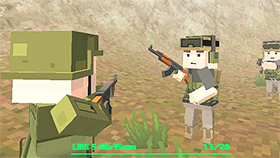 With your bazooka, you have to kill enemies in the shortest time with the least power. If you do that task well, you get 3 stars. It is enough for you to move to the next level. To get the highest score, you need to aim exactly and hit the monsters with a single shot. You should bounce your bullets off the beams to over the challenge. Playing that game is simple. 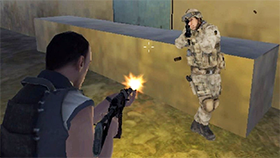 You can use the mouse to move your soldier and click it to shoot. Besides, you can move the character by arrow keys if you do not want to use the mouse. 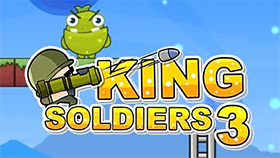 King Soldiers is the worth-playing game. If you consider the fee to play, forget it because Freegames66.com will solve that problem for you. You can play that game directly in the Freegames66.com with the unblocked version regardless of your browsers anywhere at any time. Let’s try it and join a new way for entertainment.